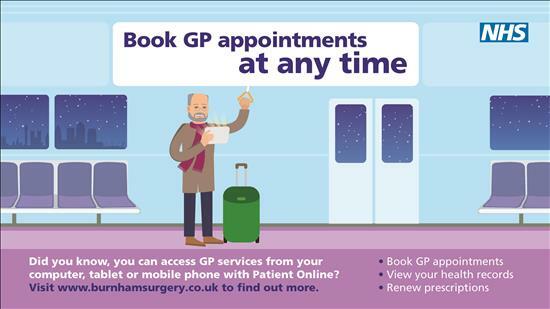 Registered patients can make an appointment by telephone, via the patient online service through this website or in person. 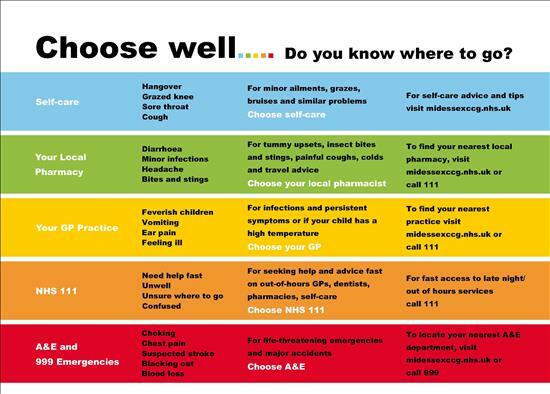 When making an appointment our reception staff may need to ask you a few questions so that you can be booked with the most appropriate healthcare professional. We now have qualified Advanced Nurse Practitioners and student Advanced Nurse Practitioners available every day who are skilled to see patients with minor and on the day illnesses. 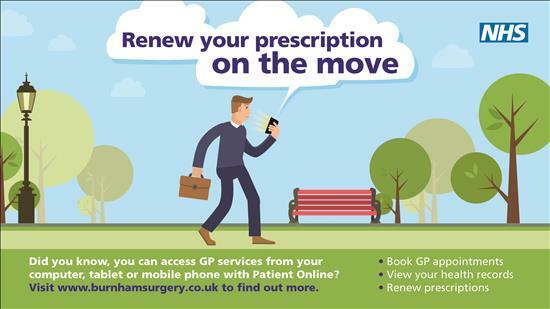 Patients may register (see receptionist) to allow them to make Appointment Bookings or to request Repeat Medication. To access these services please call into reception to Register. Photographic proof of identity is required (i.e. Passport or Drivers Licence). Each patient must make an individual request for registration, the exception being parents/guardians of children under 16 who may register the child/children themselves. It is your responsibility as a patient to cancel any appointment you have made in reasonable time so that another patient can benefit from the appointment slot. 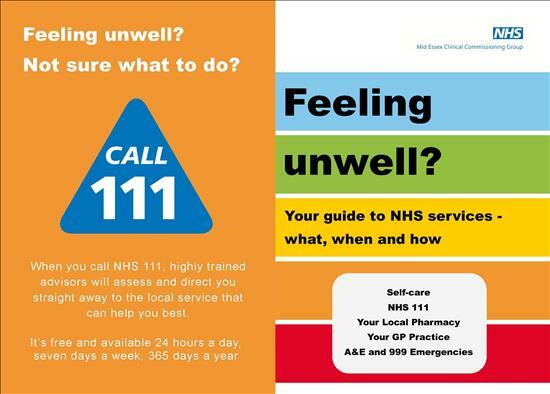 Even if you are unable to avoid cancelling at short notice, often the receptionist will know of another patient who can use the appointment. 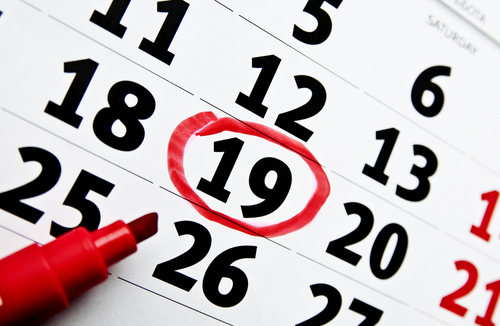 Please always try to let us know If you cannot attend an appointment for any reason. Thank you. The following shows the numbers and the times lost on appointments where patients did not cancel their appointment beforehand. Please cancel you appointment at least 24 hours beforehand. During 2014 - This resulted in 384 hours 30 minutes lost. During 2015 - This resulted in 442 hours 30 minutes lost. During 2016 - This resulted in 599 hours 15 minutes lost. During 2017 - This resulted in 350 hours 35 minutes lost. During 2018 - This resulted in 245 hours 35 minutes lost. This is a total of 26 hours 30 minutes lost. 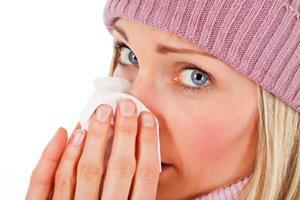 For home visit requests, please call as early as possible, preferably before 10:00. Your call will be passed to one of our nursing team for assessment. If you can get to the surgery, please do so. We rely on the co-operation and good common sense of our patients in this respect. With the facilities at the surgery we can make a much better assessment of your problem and whenever possible, patients will be advised to attend. Home visits are for those too frail, disabled or confined to bed and unable to attend the surgery. Please click on the link below to see the Statement of Intent regarding Patient Online. 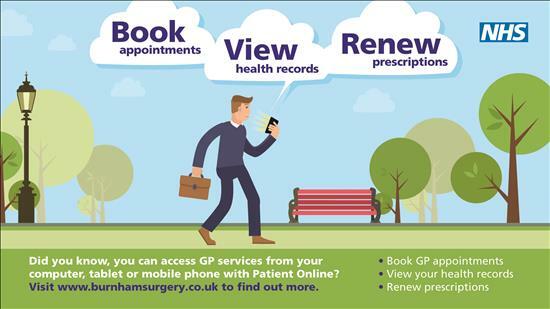 Burnham Surgery's patients have the ability to Book Appointments and Renew Prescriptions online. 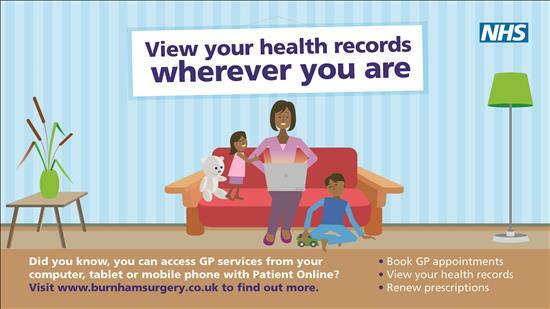 This service has been extended to include viewing parts of your Health Records. For more information, please contact reception and ask for a form to sign-up for this service.